This week is British Tinnitus Awareness week. I suffer from Tinnitus, and it has steadily got worse throughout my life, especially so since my operation in December. I have had Tinnitus for 20 years. I am only 28 years old. My friends and I that take part in a Photo A Day project sometimes take a photo to represent an charity day or week and make an effort to try and raise awareness for such charity throughout the Flickr Community. The British Tinnitus Association who organise Tinnitus Awareness week have a great website. They provide lots of information about Tinnitus, including what it, how you can recognise you have it and what you need to do about it. Tinnitus is the name given to the condition of noises ‘in the ears’ and/or ‘in the head’ with no external source. 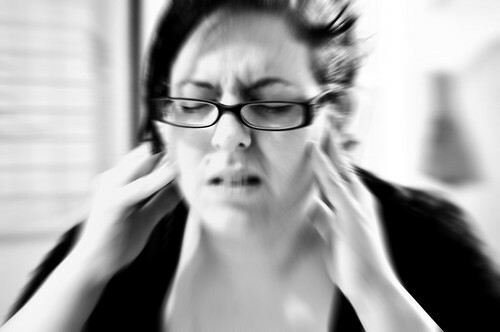 Tinnitus noises are described variously as ringing, whistling, buzzing and humming. The noise/s may be heard in one ear, both ears or in the middle of the head or it may be difficult to pinpoint its exact location. The noise may be low, medium or high-pitched. There may be a single noise or two or more components. The noise may be continuous or it may come and go. Tinnitus is not a disease or an illness, it is a symptom generated within a person’s own auditory pathways. Although it is often assumed that tinnitus occurs as a result of disease of the ears, this is often not the cause. The precise cause of tinnitus is still not fully understood but is usually associated with some hearing deficits. Experiences of tinnitus are very common in all age groups, especially following exposure to loud noise, however, it is unusual for it to be a major problem. There is a widely held misconception that tinnitus is confined to the elderly, but various studies have shown that it can occur at any age, even quite young children. Mild tinnitus is common – about 10 per cent of the population have it all the time and, in up to one per cent of adults, this may affect the quality of their life. I hope that you don’t suffer from Tinnitus. But if you do, you’re not alone.